Struggling with procrastination? Here's our professional advice on how to stay focused during practise. 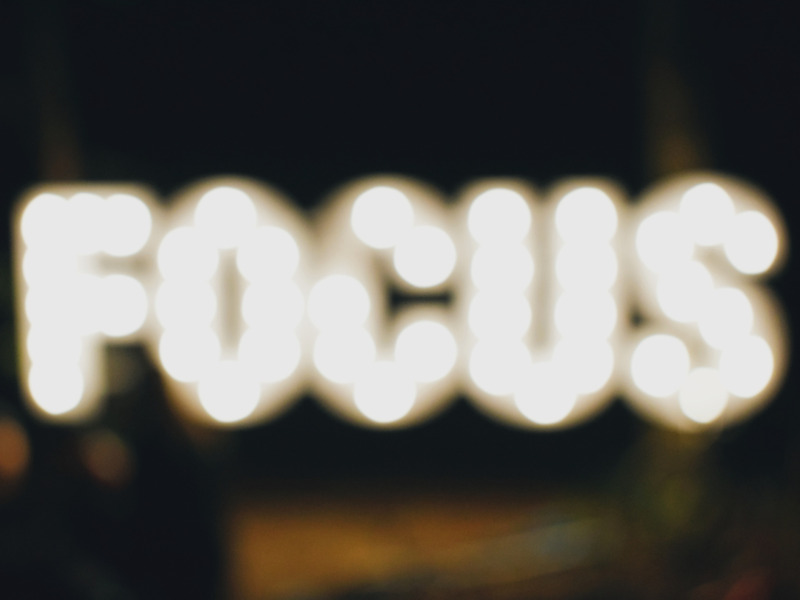 As a pianist, one of the biggest challenges you will come across is your ability to stay focused and to keep your eyes on the prize. In a world where procrastination has stolen many a person's dreams, we refuse to let you lose sight of what you're working towards. So, here are Pianist's 5 key tips on how to stay focused during practice. Knowing that you have a long piano practice ahead can really challenge you mentally. It can make you feel exhausted before you’ve even started. Why? Your brain is likely grouping your entire practice into 1 big challenge in your head, making it feel like a scarily daunting prospect. The key to staying focused when you do have a long and often crucial practise coming up is to split up this practice into around 2, 3 or 4 smaller practises throughout that day. It’ll allow your brain to view each task separately, making them seem far more achievable. For example, you may want to do 1 hour in the morning, afternoon and evening, totalling 3 hours for the day. If your concentration levels are higher, you may want to increase each practice to 2 hours. Use the schedule below if you're struggling to create an agenda. As you can see, it's broken up into focused and achievable chunks. The time you spend on each section is variable. It is dependant on each individual person. Do you already have a wide attention span? Extend your time spent on each section to 30 minutes or an hour. Do you have a very limited attention span but need to improve? Perhaps start a little smaller, and gradually expand each day. One huge myth about practising the piano is that, in order to be world class, one must intensely practise non-stop for 6+ hours a day, 7 days a week, 365 days a year. No pressure, right? However, using this route to success will only cause a mental burn out. Let's not get confused. Yes, some of you will practise for 4+ hours, which - yes - is essential if you want to be a professional. Our piece of advice is that you make sure you are not practising non-stop. Look after yourself and take a break! In order for our brain to maintain a high level of concentration, it needs time to breathe. Breaks are vital to restoring your motivation, especially for long terms goals such as learning a repertoire. “When we work, our prefrontal cortex (the thinking part of your brain) makes every effort to help us execute our goals. But… research shows that briefly taking our minds off the goal can renew and strengthen motivation later on.” – Nir Eyal, author. In essence, taking a break deactivates the brainpower that goes into working on long-term goals. When they are reactivated, science has proved you will be more focused. Need some extra practise? Take a look at our range of free piano lessons. a. Stretch your legs and go for a brief walk around your house or garden. This will help prevent any back and arm pain when practising. b. Make yourself a drink. Rather than sitting down and doing nothing, allow your mind to get stuck into a completely different yet simple task. This will exercise other parts of your brain whilst simultaneously resting the areas that have been used. c. Get creative! Do you have another hobby outside of playing the piano? Spend a short amount of time engaging in that hobby, whether it be drawing, painting, exercising, or even cooking. d. Daydream. Get comfy, stare at the wall, and let your mind take you on a brief journey to where creativity and chaos are available in abundance. Daydreaming gives your prefrontal cortex a break. e. If you literally do not have time to take a break, use it to work on something completely different. Just finished practising a piece of music? Use your break to research venues for your next performance, or to check up on the rules and regulations for your piano exam. For new learners especially, those first lessons in which you are trying to get your head around a number of things can be tough. One way to make sure you stay focused on your end goal is to celebrate yourself when you make big progress. After all, every single practise session contributes to your final goal, right? It may be something as small as treating yourself to a beer, or a bubble bath. No matter how small or big, celebrating the little steps will help keep you focused on the end game during practice. Gearing up for a piano exam? Here are our 8 tips on how to get rid of nerves before your piano exam.